With a passion and dedication to motorsport, Craig Neve is focussed on pushing himself beyond the limits to achieve his dreams. Born in Immingham, 26-year-old Neve has climbed the ranks to become a respected International Road Racer and regular in the British Superstock Championship. 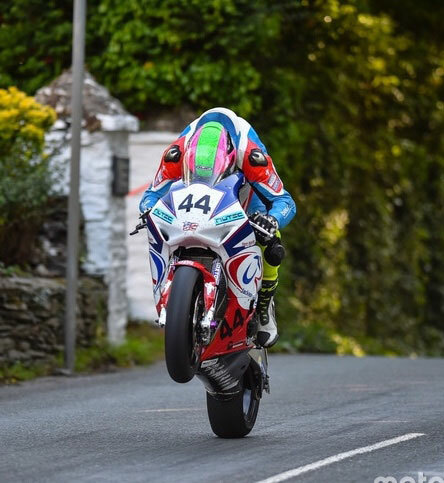 Making his Mountain Course debut in 2014 at the Manx Grand Prix before his inaugural appearance at the Isle of Man TT in 2016. Neve proved his talent on this maiden run by ﬁnishing all six of his solo races and coming home with half a dozen bronze replicas. A calm and mature approach to the sport, Neve has gained a lot of respect within the racing world. While his fearless attitude gives him the ability to charge ahead of the pack, his control and focus prove he is also a team player. With Jackson Racing signing him for 2018, Craig is ready for the new challenge and to ﬁght for podiums both on circuit and road meetings. Oulton Park British superbike round 3. Anglesey coastal circuit with NG racing.